The WPH was incredibly busy throughout the holiday season, recapping over 600 Junior WPH clinics across the U.S., Canada, and England, awarding the WPA’s for the top performers in handball in 2014, covering and recapping the USHA Four Wall Junior Nationals in Tucson, hosting a WPH Fun Day Fundraiser in Pinetop, AZ, announcing the sixth edition of the WPH/WOR 3Wallball World Championships in Las Vegas, hosting and recapping the WPH No Frills in Tucson, previewing and recapping the prestigious John Gaffney Memorial in Ireland, and previewing the upcoming Race 4 Eight IV Stop #3 in Houston with the coin flip to determine the final spot in the Elite 8. Wow! Bob, what sport isn’t hard? Golf is probably the hardest game there is. If a beginner plays a round of golf, he’s likely going to lose all of his golf balls on the first hole. Even an experienced player is prone to huge meltdowns and blowups at any given moment on any hole. Tennis is as difficult as golf. A beginner can’t hit a backhand or even keep the ball between the lines. You think ice hockey is easy? There are no easy sports. Every sport requires thousands of hours of practice to reach any level of proficiency. There are 28 million active golfers and 12 million active tennis players in the U.S. Why aren’t there more handball players? I don’t buy the “too hard” excuse. Underexposed? Maybe. Too hard? No. Why would I have my kids play handball when there is no money in it? I’m going to teach them tennis or golf. Tom, I hear this a lot. The only players that make a living playing tennis or golf are the top 100 players in the world; the rest break even or accrue crippling debt. Let’s use tennis as an example. There are currently over 75 million tennis players in the world playing in 144 countries, with a large percentage of them dedicating every waking second of their lives towards becoming pros. Consider the ATP World Tour: Only the top 100 men can earn a living playing tennis, which means that your chances of earning a living on the ATP Tour is .000001%. Your chances of earning a college scholarship are slightly better, but what parents fail to realize is that colleges are allocated just three or 3.5 scholarships per program for a team of six to eight, with the vast majority of those scholarships going to former European pros. The very best junior tennis players in the U.S. are awarded partial college scholarships, meaning that they are still responsible for over $20k per year in tuition and college expenses. To even be considered for a partial college scholarship, a junior would need to start playing by the age of eight, spend 30-40 hours a week on the court for over 10 years, attend a minimum of 16 national junior tournaments per year, and earn a ranking inside the top 20 in their respective age group. That means outranking tens of thousands of kids that are playing just as frequently, with the same goals and desire to achieve. To achieve a top 20 national junior ranking, a player would need to spend roughly $2k per month on lessons, equipment, and travel expenses over a 10 year span, which translates to $240k by the time the junior turns 18, all for the remote opportunity to earn a partial college scholarship worth $60k over four years. To reach the top 100, well, double the expenses, factor in freakish athletic and mental gifts, hope to not suffer an injury, grow to be 6’2 or taller, and don’t burnout from 50 hours of tennis plus and two weeks per month of traveling throughout your entire youth and adolescence. 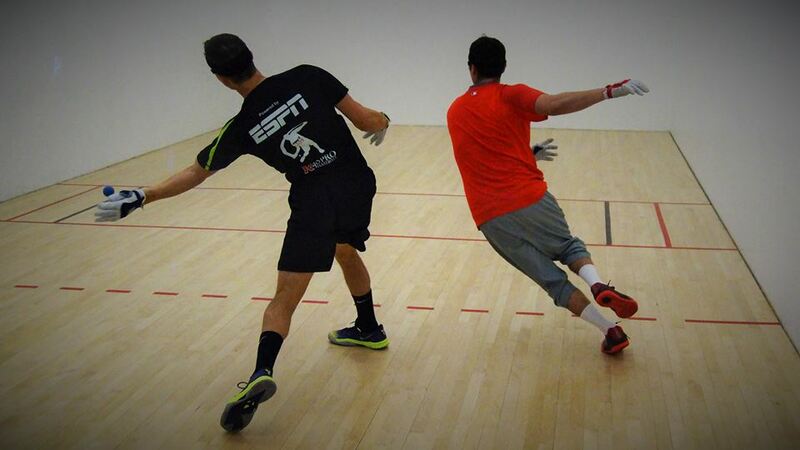 There are far less people playing handball in the U.S. than tennis, with far more people making money in the U.S. playing handball than tennis. 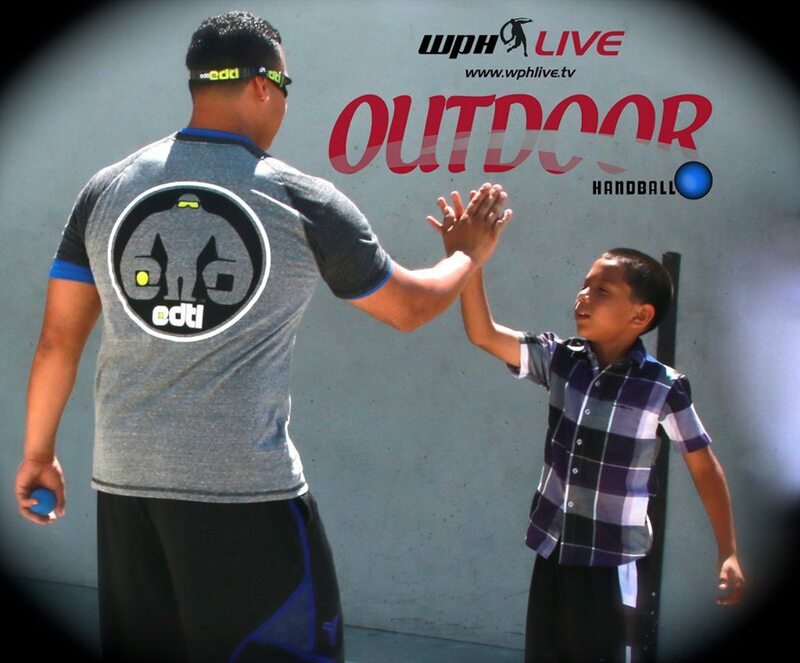 For arguments sake, let’s say there are 20,000 4-Wall handball players in the U.S. Each member of the Elite 8 on the WPH Race 4 Eight tour makes money at each stop, as each player’s travel expenses are paid and supplemented with prize money. Players outside of the top 100 on the ATP Tour play in tournaments in Asia, Australia, Europe, South America, and North America and have to pay their own expenses for a chance to win $5k. Only the winner of a Challenger (lower level ATP) has a chance to break even after the weekly $3k-$5k in expenses, and he would need to beat 63 other players with the equivalent pedigree and talent. Factoring in the percentages, a handball player has a dramatically better opportunity to make money than a tennis player, based on the number of players and the number of players earning money at each event. There are currently five U.S. tennis pros in the top 100 on the ATP Tour (none in the top 17) out of 12 million players. Not only the Elite 8 on the Race 4 Eight make money at each stop, but the top 8 at each WPH Outdoor Stop also make money at each outdoor stop. A handball player does not incur $240k in junior training expenses, nor does he have to spend 30-50 hours a week practicing to become one of the top 8 players. A handball player is also not competing against 144 countries and 75 million players, many of who are solely focused on their sport. Golf is even more difficult, as there are more players and more competition. Next time you think you will not have your child play handball because there is no money in it, consider the percentages and the investment.